The PTS Fortis Shift™ Grip is a one piece billet design made from 6061-T6 aluminum and are Hard Coat Anodized in Black or Flat Dark Earth. The skeletonized design makes this grip one of the lightest grips on the market. 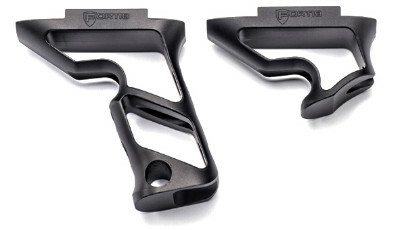 Available in two styles: a “Short Angled Grip” and a “Vertical Grip” allows the shooter to choose which lightweight grip best suits their shooting needs. Both styles of grip are available in either the mil-spec Picatinny rail attachment or the now popular KeyMod mounting interface. 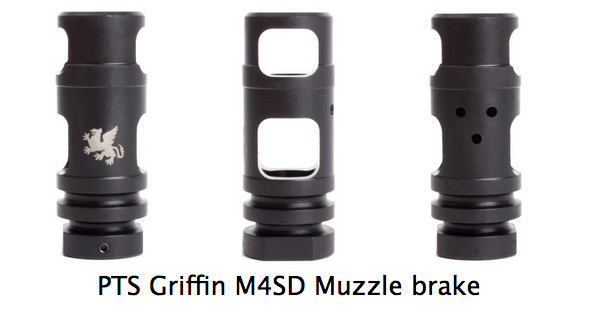 4 NEW PTS Griffin M4SD Muzzle Devices! 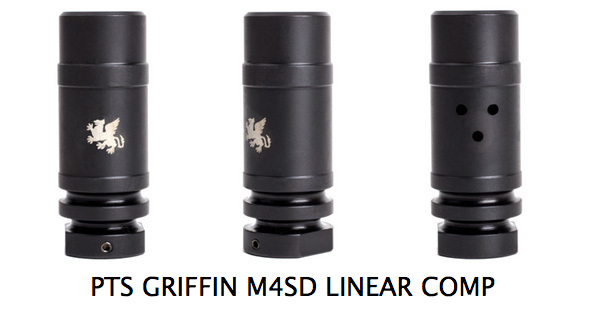 Manufactured from CNC machined aluminum alloy, the Griffin Armament M4SD line up has four new muzzle device styles! These Airsoft versions have been designed to be universally compatible with any A2-compatible suppressor mount includingthe PTS Griffin Armament M4SD Suppressor andthe PTS Griffin Armament QD Blast Shield. 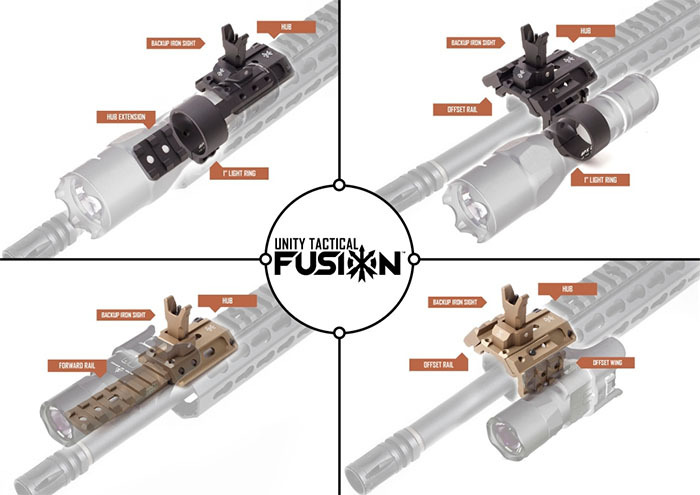 Listening to user feedback, these four new muzzle devices have a wider inner bore allowing airsoft inner barrels to pass all the way though and at a lower price point while still ensuring the same high quality you've come to know and love from PTS products! 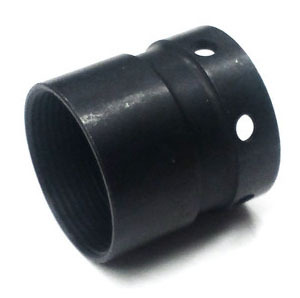 Available in standard 14mm CW and CCW threading. The system consists of a base with several accessories adapters. 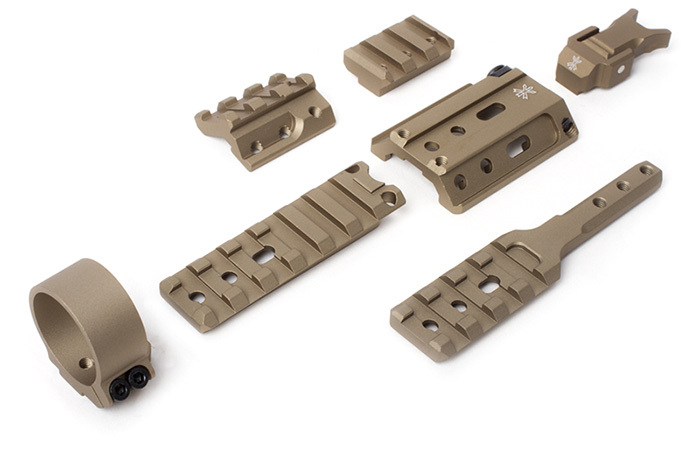 Machined from 6061-T6 Aluminum and available in Hard Anodized Black or Flat Dark Earth. The latest PTS GoGun® USA Supercomp® Tactical Talon Muzzle Brake is touted to be their best Supercomp® to be ever made to date. Keeping its signature patented Talon Tips; which can be used as a breacher or a less lethal persuader; the weight is significantly reduced in comparison to other Supercomp® muzzle brakes for tactical and competitive applications. 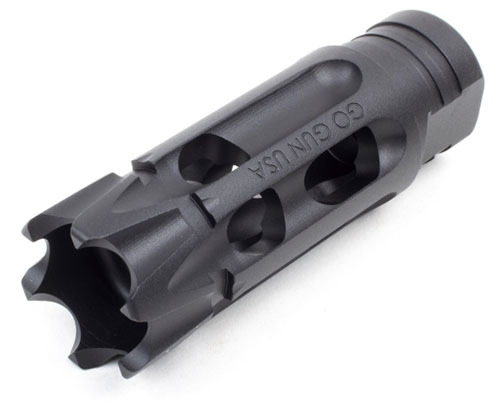 The nine axial ports, key features to its unique design and staying true to the real steel, redirects muzzle blast in an extremely effective “Hex Stabilizing Star Pattern (SSP)”. The PTS SAPI Dummy Plates is an ideal alternative to your heavier and harder standard dummy plate. 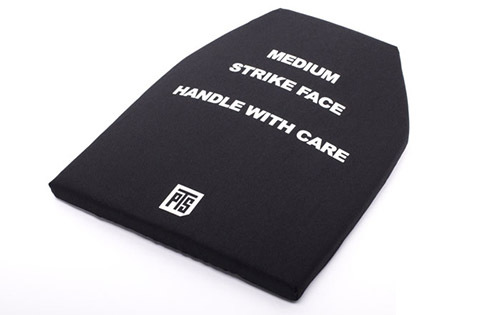 Designed solely for Airsoft and Milsim purposes, the plate has been carefully constructed to ensure flexibility and lightness - enabling you to perform any actions or maneuvers with ease and fleet of foot. Perfect for use in Airsoft and Milsim where mobility will play an important role. Intentionally curved in shape, the plate will wrap around the body providing comfort for the user. The materials have been tested to be abrasion resistant and will not lose any color from washing or drying. There is also elasticity in these materials, allowing it to return to its original form from any force applied. Sold in pairs. Available in two sizes: MEDIUM or LARGE! 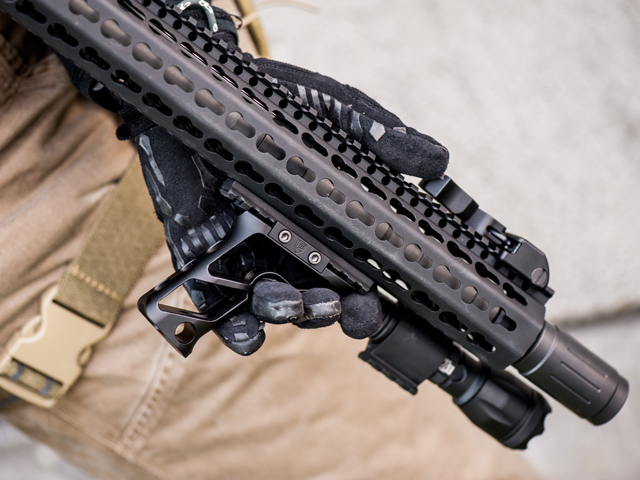 The Centurion Arms CMR Rail is a lightweight, rugged, one piece free float handguard that uses a proprietary barrel nut and gives an AR-15 upper a continuous 12 o'clock rail. This VFC compatible barrel nut is specifically designed to allow the CMR rail to work with VFC AR-15 upper receivers. 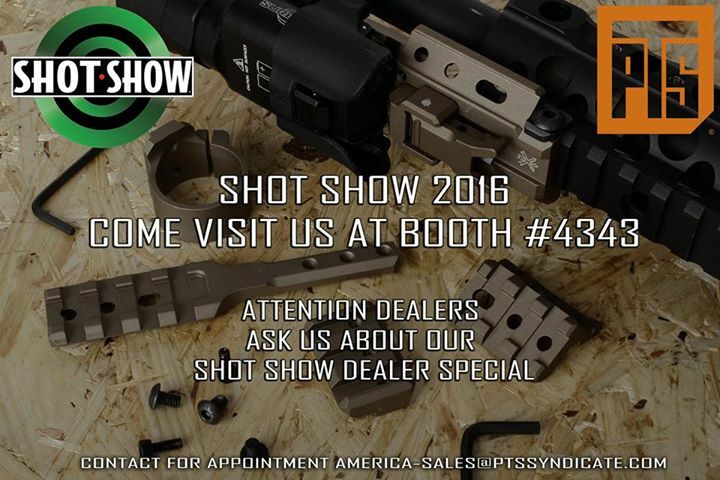 PTS Syndicate will be at Shot Show 2016!!! PTS Syndicate is proud to announce that we will have a booth at SHOT Show 2016 inLas Vegas, Nevada. Please visit us at Booth #4343 to see our newest and upcoming products. For dealers and media, to ensure that we can provide you with quality attention, please contact america-sales@ptssyndicate.com to make an appointment.